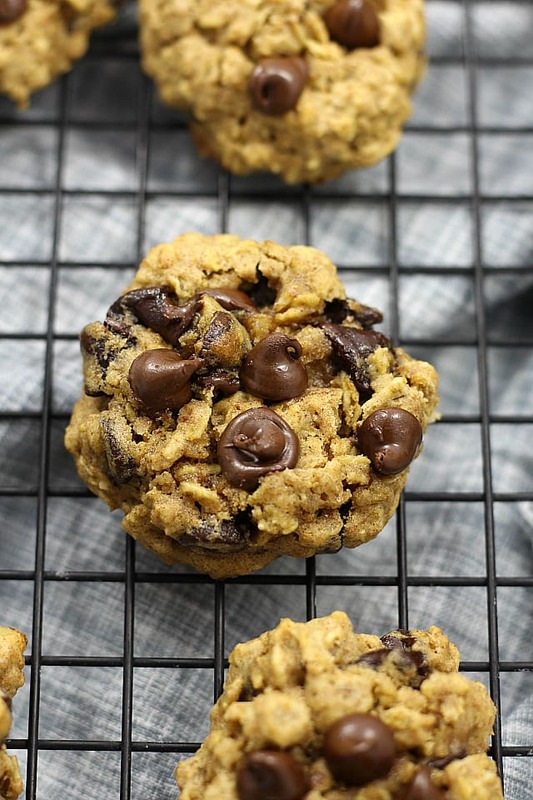 These gluten-free cookies with a dairy-free option, are a healthy oatmeal chocolate chip cookie recipe that is a perfect as an after school snack or dessert. Even better, there are no refined sugars in these moist cookies! Tonight we had dinner at my husbands clients home. If you don’t already know, my hubby has a family construction company and just finished a project near the Santa Barbara Mission. We were welcomed into breaking in the new home with a celebratory dinner and tour of the house. Margaritas, wine and delicious food from the famous La Super-Rica Taqueria was served followed by dessert from Renaud’s. Stephen and Day did an amazing job putting on a party, especially when planing on leaving for vacation the next day. The two are the most welcoming people with the kindest of hearts and we were delighted to spend time “outside of work” together. 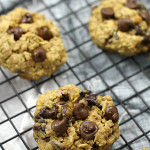 I brought these oatmeal chocolate chip cookies and they were a huge hit! So it was time to finally get them up on this blog. 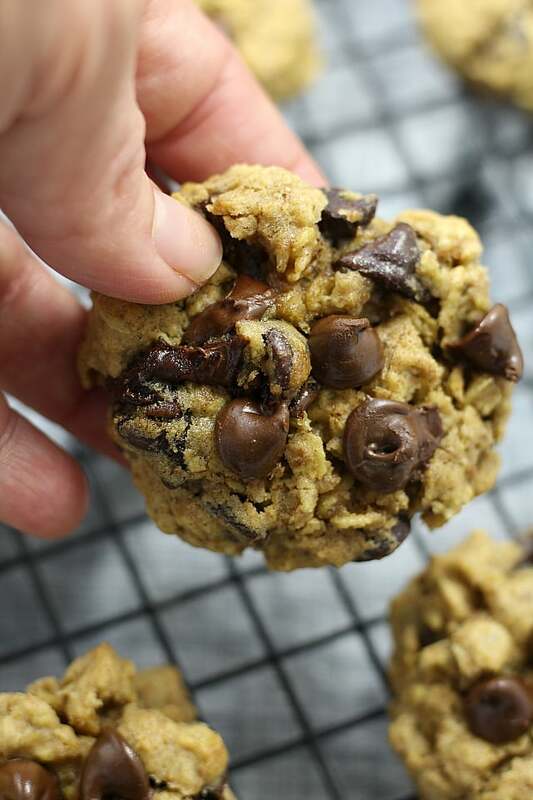 I am incredibly thrilled to share this amazing oatmeal chocolate chip cookie recipe with you! I have been working on it for a while, making it over and over again until it is just perfect. Actually I made it a while ago…but then had to make it with a few different flours to ensure the perfect gluten free mixture. Trying out gluten free flour blends can be a bit tricky. I worked with just a gluten free free flour mix and found the best is is combining it with coconut flour and tapioca flour. Then I tried out this cookie recipe with coconut oil versus butter… and really the butter is what holds it together well. Then I tried it with vegan butter. Vegan butter is made of olive oil, flax seed oil and canola oil. 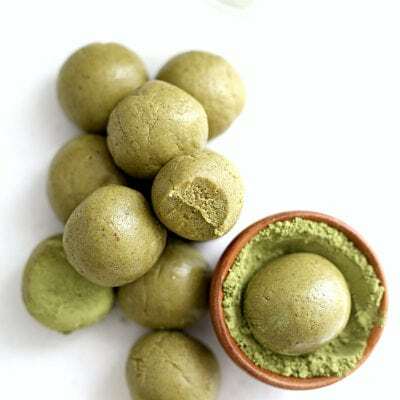 It has no cholesterol and is high in good fats that are heart healthy. The result is these dairy free chocolate chips that are just as amazing and delicious as ones with milk and dairy in them. 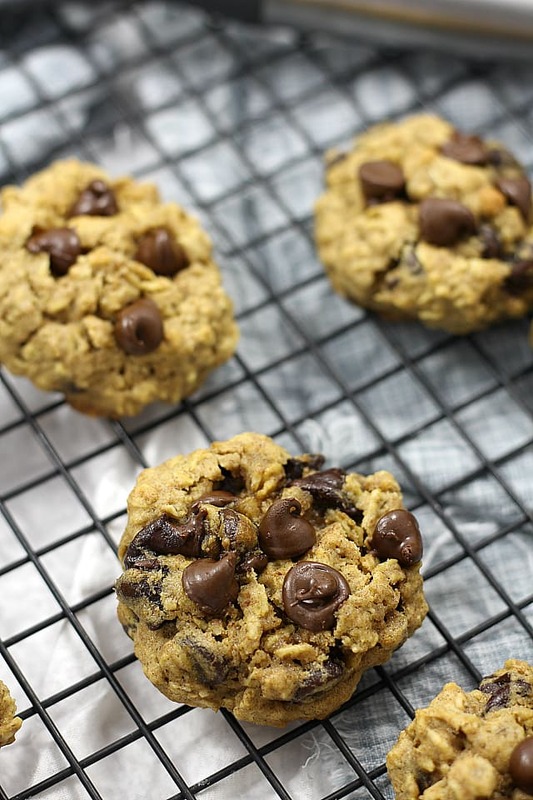 These gluten free oatmeal cookies with chocolate chips really are the best! 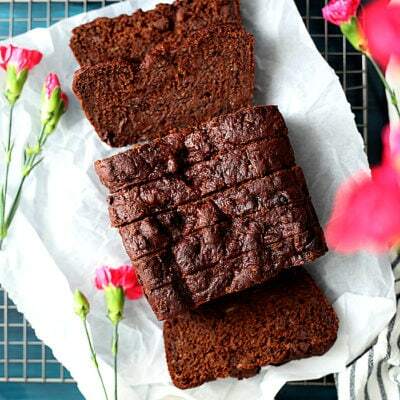 Fully dairy free and gluten free and still incredibly moist! I use white spelt flour for a lot of my recipes (gluten free but not wheat free if you have Celiac Disease or other wheat allergies). 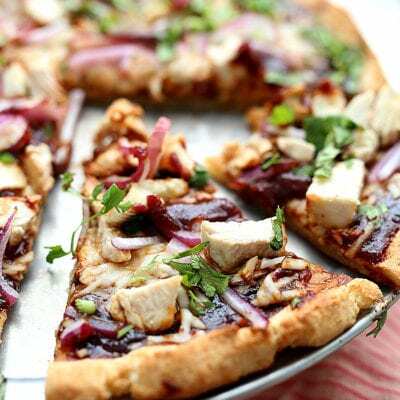 This recipe is made exclusively with a combo of gluten free flour mix, coconut flour and tapioca flour. I found that most of the time using gluten free flour mixes leaves pastries and other sweet treats a little dry after a day. 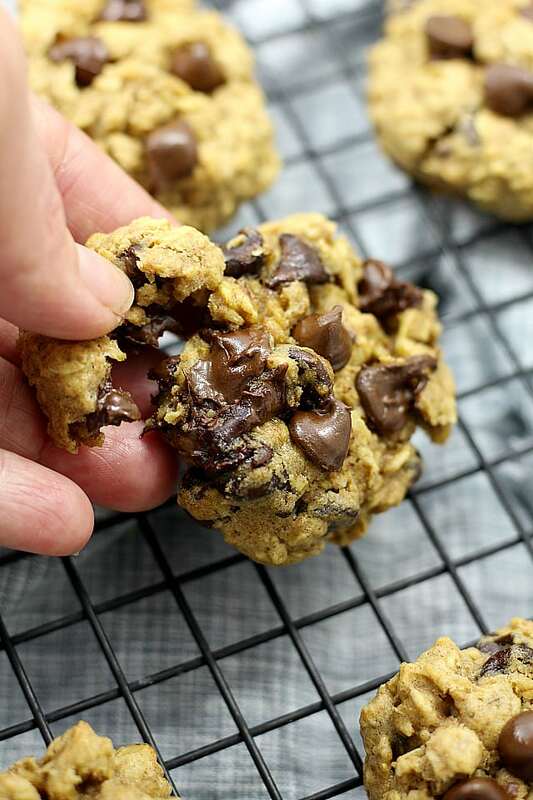 But tapioca flour and coconut flour added to gluten free flour or brown rice flour mixtures adds a lot of moisture and fluffiness to this oatmeal chocolate chip cookie recipe. But these are so moist and delicious, one would never suspect they are gluten free chocolate chip cookies. Guess what else? I used half the amount of sugar that most traditional chocolate chip cookies call for and they are still amazing! And the sugar I use is coconut sugar. Coconut sugar is a great natural alternative sugar as opposed to high glucose corn syrup or can sugar. This sugar is derived from the coconut palm tree and is more nutritious and lower on the glycemic index than sugar. 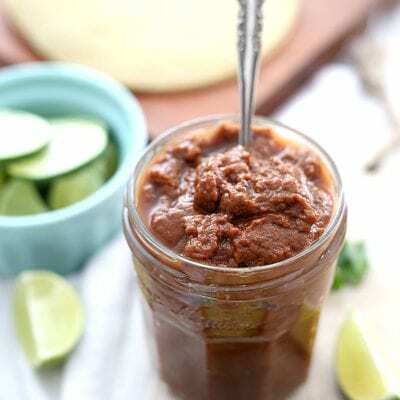 Moist, delicious fluffy, tender, flavorful, oat-filled, and chocolaty packed! At the party the kids had to be “cut-off” from them along with the Renaud’s pastry’s that were served. Good thing is there is no cholesterol and no dairy in them and the oats provide lowering cholesterol enhancements. Just make sure to drink lots of water to flush a high fiber through the body. I’m also loving that cutting out dairy is really easy accessible these days. Cashew milk (my favorite! 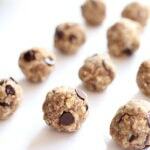 ), almond milk, coconut milk, and vegan chocolate chips available at most local stores or online. And lets talk about the sugar in cookies. Most homemade chocolate chip cookies call for over 1 cup of brown sugar and 1/2 cup of white sugar. That is so much sugar! 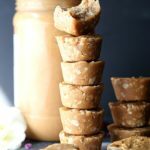 This recipe is a total of 1 cup of coconut sugar. Slightly less than 1/2 the amount of sugar in the average chocolate chip cookie. So eat up, enjoy and then make more! 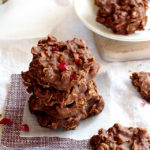 Decadent gluten-free, dairy-free option and low sugar chocolate chip oatmeal cookies. 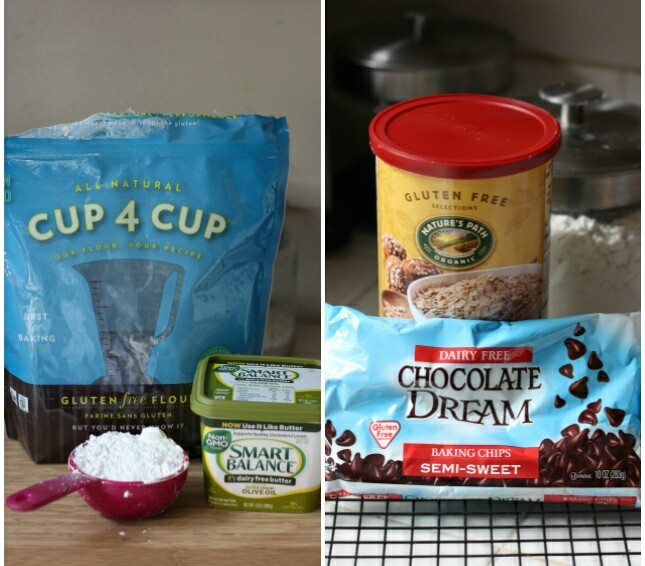 Combine in a medium bowl baking soda, salt, gluten-free flour, coconut flour, tapioca flour and oats. In a mixer bowl beat together the coconut sugar, butter and eggs until creamy. Beat in milk, vanilla extract and almond extract. Pour the wet ingredients into the dry ingredients. Fold in the chocolate morsels. Mix well. Refrigerate about 30 minutes. 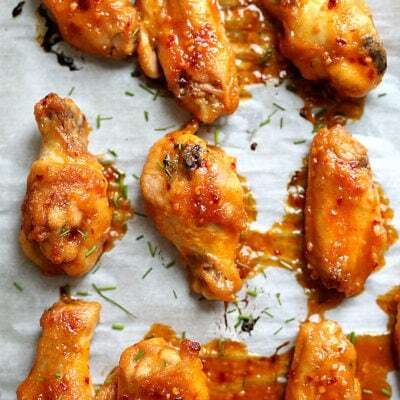 Preheat oven 375 degrees F. Prepare a baking sheet with a silicon liner or parchment paper. 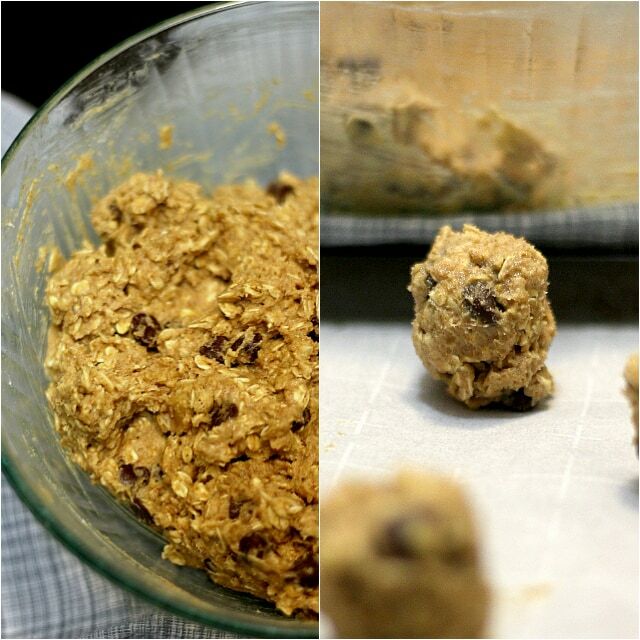 Form dough into 1-inch round balls and place on prepared baking sheet about 2 inches apart. Bake 9-10 minutes. Remove and let set about 1 minute then transfer to a cooling rack. 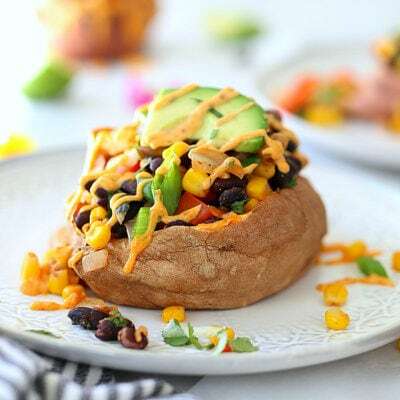 Store in an airtight container and consume within 3 days. I’ve been craving cookies lately but it’s just been WAY to warm to do any kind of baking. 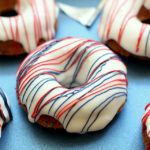 I wish I could just eat these right off the screen. Valerie, that is so sweet! I wish I could throw these cookies to you through the screen too:-) These are seriously delicious cookies! I made them for my friend who was off dairy for nursing, and it got great reviews!